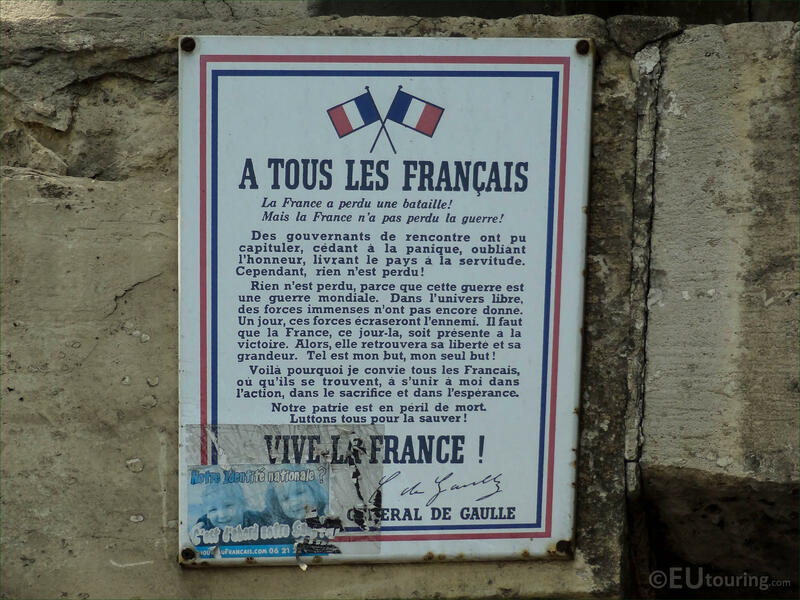 Now this photo shows a board fixed to the Barriere d'Enfer at Place Denfert-Rochereau, which was produced back in the 1940s during World War II, which is a speech style statement from General Charles de Gaulle, and below you can see a shortened version of what some of this translates to in English..
France has lost a battle! But France has not lost the war! All is not lost, because this war is a world war. In the free universe, immense forces have not yet given. .. That is my goal, my only goal! Here is why I invite all the French, wherever they may be, to unite with me in action, in sacrifice and in expectation. All struggle to save her!